The Bell 407 is a single-engined, four-bladed derivative of the Bell 206 LongRanger. It was first introduced in 1996 and as of 2010 1,000 examples have been built. 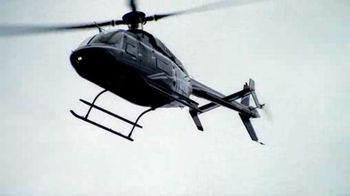 This page lists all films that feature a variation of the Bell 407. Pages in category "Bell 407"
This page was last modified on 2 January 2014, at 06:51.